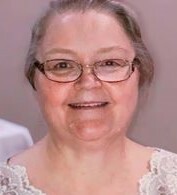 Susan Darene Jones Little passed away at her home Monday January 28, 2019. Susan was born on January 19, 1958 in Pascagoula, MS to James and Hazel Jones. She met and married Ronnie Little in 1974. This union produced two children Roneece and Jonathan. Although she was a hard worker and worked at various jobs what we will remember most is her smile. Not just her smile but her ability to make others smile (laugh). She loved to sing making up silly songs for every occasion. Ever the peacemaker Susan was a positive person even when life dealt her plenty of reasons to be negative. She was a member of Life Church in Ocean Springs. Her bubbly zeal and zest for life will be greatly missed. In addition to her parents she was preceded in death by her brother, James Jones. She is survived by her husband, Ronnie Little of Vancleave; children, Jonathan Little (Serena) and Roneece Nelson (Todd) both of Lucedale, MS; a sister, Patsy Jones (Harvey) of Saucier, MS; sister -in-law, Donna Jones of Escatawpa, MS; grandchildren Baylee Nelson, Laker Nelson, Kylene Little, Jonathan Little, and Brenna Little; great grandchild, Kendylen Williams and many nieces, nephews and friends. Visitation will be Friday, February 1, 2019 at O’Bryant-O’Keefe Funeral Home in Pascagoula from 6-8 pm. Funeral Service will be Saturday in the Funeral Home Chapel at 10 am with Rev. Andrew Kelly officiating. Interment will conclude at Orange Grove Cemetery. Condolences may be expressed online at www.obryantokeefe.com.